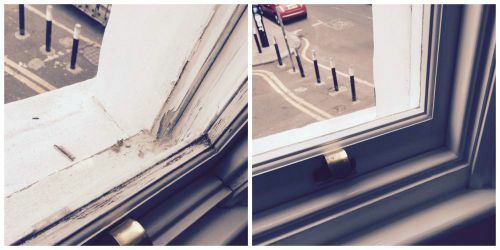 The London & Herts Sash Windows team recently undertook a Sash Window Restoration and Draught Proofing project on a terraced house in Shoreditch, East London, E2 that had seven large sash windows that were in need of a full restoration. 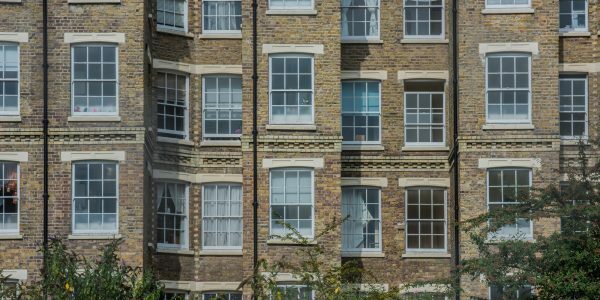 This terraced house in Shoreditch had seven large sash windows that were in need of a full restoration. 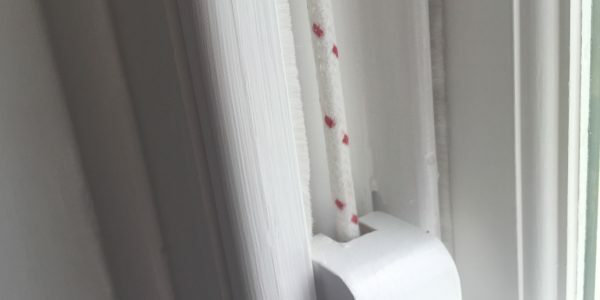 Some suffered from areas of rot, nearly all had large areas of peeling paint and exposed timber and they been incorrectly balanced, with sash’s moving from their positions due to insufficient weights within the window box. 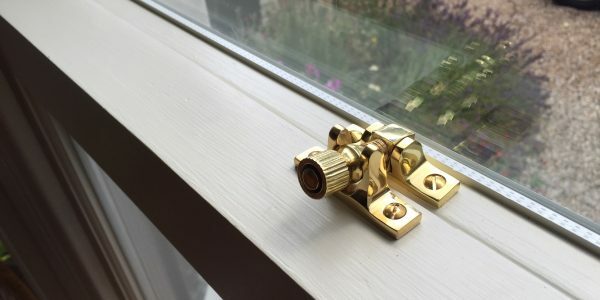 Draught proofing was also required as these sash windows were particularly draughty, letting in large amounts of air into the house, where even in summer the house would be noticeably cool. Plus, with the house positioned on a busy road, noise was an issue for the client. 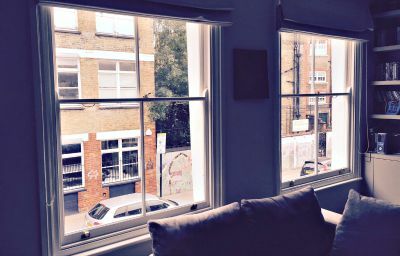 After our team had carried out the survey to define what was required for each window, the team could start working through the various rooms under instruction from the client. 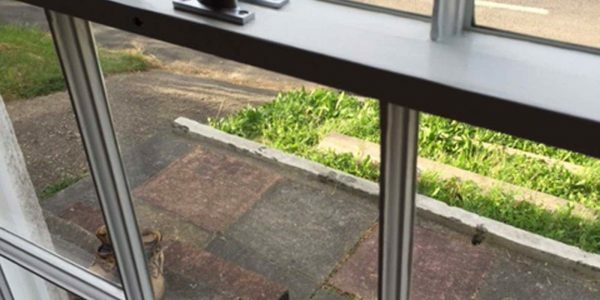 At this property the team were able to work within the clients back garden (the team can also carry out the work off site if space is an issue). The sash’s were first removed from the box frame, before each sash goes through the process of removing all paint through the use of hand sanding and UV light heat lamps. 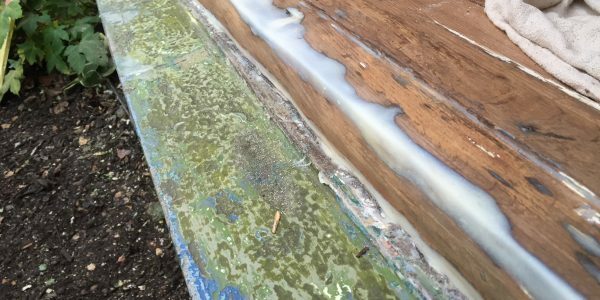 Once the old paint is removed, the team can begin to sand back the timber to create a new smooth finish ready to be primed and painted. With the timber exposed, the team can also now repair any rot and damaged areas. 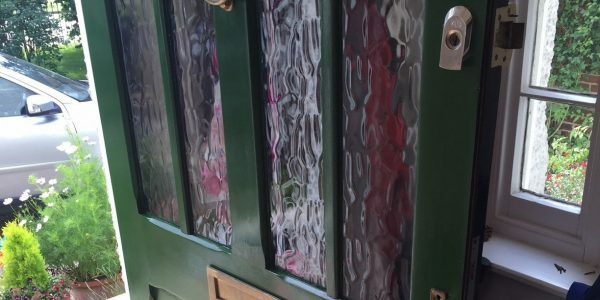 With all repair work we use high quality epoxy resins, which once painted look exactly like the timber, creating a good-as-new high quality finish. 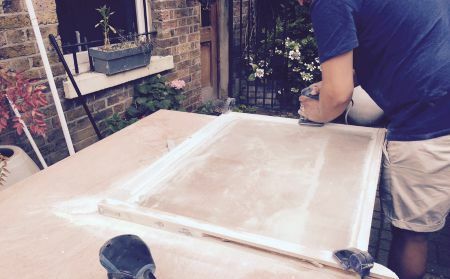 This restoration process is also applied to the sash window box that sits within the brickwork, all timber here will be hand sanded, before any rot and damage is repaired, ready to be primed and double coated with paint. 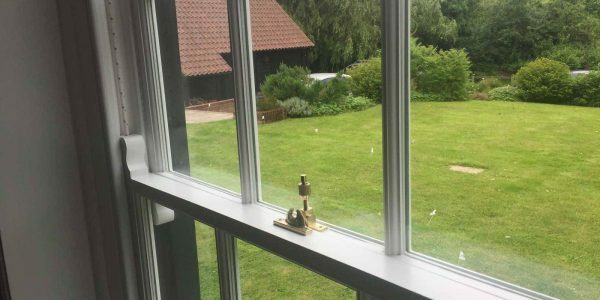 In this situation the client wished to keep the original single pane glass, so all glazing was taped to prevent damage, whilst any putty that had become rotten or had fallen out was replaced. 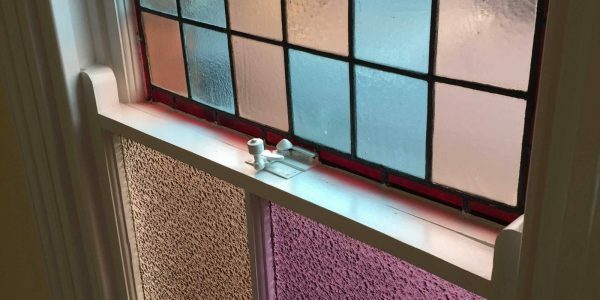 If the current glazing isn’t being removed, all old paint lines will be carefully removed to make way for the new paint and crisp new lines that will be achieved by our expert team. The team are now able to prime each sash, before applying two coats of paint, the sash’s are then cleaned ready to be installed. 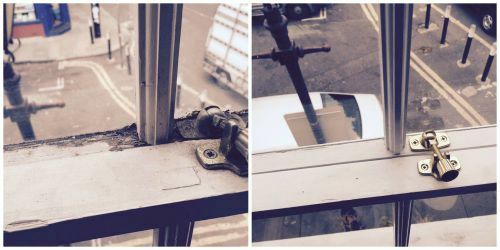 It is at this point that the team installed new sash cords to each window, serviced the pulleys and re-balanced all windows so they were perfectly hung and no longer moved unaided within the box. 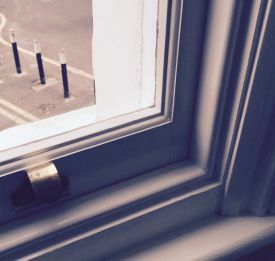 The existing parting and staff beads that sit within the sash were removed, before the team measured and cut to size new parting and staff beads that feature a thin line of material to seal the perimeters of the window and where the windows meet, reducing draughts and noise. 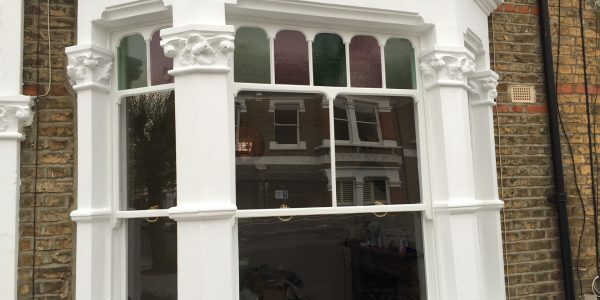 These are then applied to the window with an exact snug fit, before the team decorated the beading with two coats of paint. 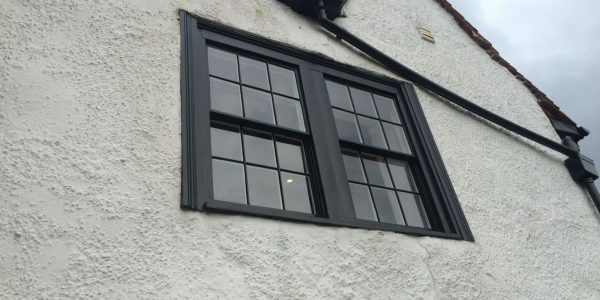 With the draught proofing inserted and decorated, the materials will not change the look of the window, keeping the period look and feel of the windows. 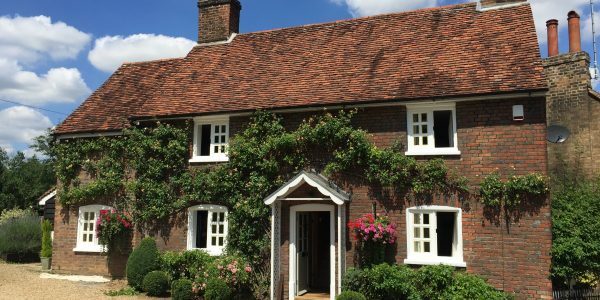 It was instantly noticeable to the client that draught proofing had been installed, as the traffic noise and draughts were hugely reduced, plus they were able to move each sash up and down much easier than before without the windows sticking. 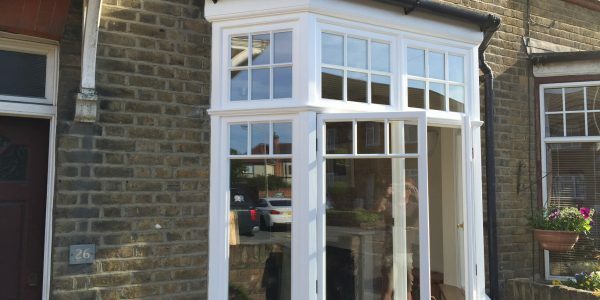 If you have existing or original sash windows on your house or business premises, our expert craftsmen can fit double glazing to them. 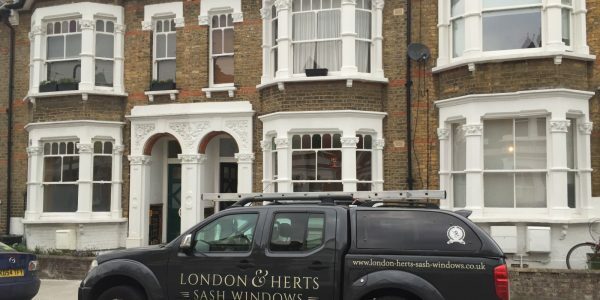 Our sash window restoration and glazing experts work throughout North & East London, Hertfordshire and Essex. 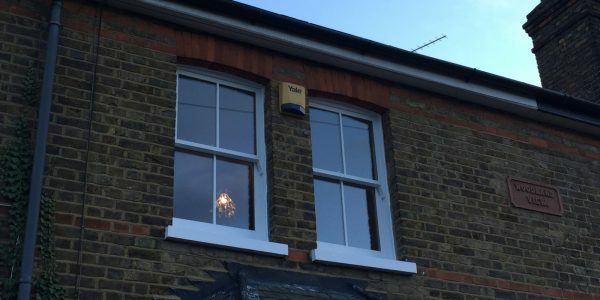 The project shown above is just one of many recent jobs we have undertaken where the existing sash windows were kept.